It’s a pretty common sight to see foreign workers serving and cooking for us in restaurants, but all that’s about to change. Three months ago, the government banned foreign workers from working outside the kitchen. Now, the ban is extending within the kitchen. On the 22nd of June, Human Resource Minister M. Kulasegaran said that all restaurants should only be employing locals as cooks starting from the 1st of July. However, all food operations will have till the end of the year to replace their foreign cooks with local ones. 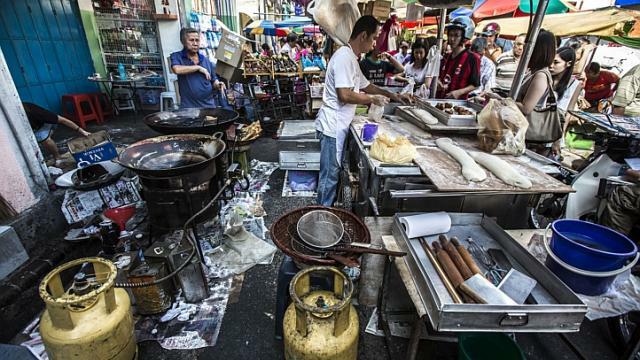 On the 1st of January 2019, a new regulation will be made effective, which will only permit local cooks. In 2014, the Penang state government implemented this rule, and they seem to have made it work. This move comes after a meeting with the Indian Restaurant Operators Association (Prisma). The Penang state government issued this policy to protect our national food heritage, but the federal government has more reasons than that. As you may have noticed, foreign workers are everywhere in every industry, and the government is hoping to reduce dependence on foreign workers. Secondly, it is to ensure the quality of local food. I mean, locals should prepare local food better than foreigners, right? Unconsciously, foreign workers have been bearing the brunt of the F&B workload, and if they are cut out completely, who’s going to step in? For years, the F&B industry has faced labour issues as locals are reluctant to work in restaurants, as told by Ayub Khan, president of the Indian Muslim Restaurant Operators Association (Presma). Besides that, local staff will mean higher wages, and customers will have to pay more for their food. Due to these potential problems, minister M. Kulasegaran will hold more meetings with Prisma and Presma for further discussion. What are your thoughts on this? Would you prefer the workers to stay, or the locals to take over? Let us know in the comments below!